A series of pre-arranged mini meetings by appointment between specifiers and high-end manufacturers. Launched in 2017, this event is aimed at the interiors and lifestyle sector, private individuals, hotels, urban spaces, professional spaces and retail. Le French Design is inviting interior architects and purchasing advisers, as well as ambassadors for elegance, to meet, get to know, each other and discover new synergies with leading companies and manufacturers, hand-picked for their creativity and expertise. Speed Dating Interior Design also includes Fine Crafts, with support from Ateliers de Paris, l’INMA, AD and Ateliers d’Art de France. Le French Design will approach a selection of premium manufacturers and based on the requirements and interests specified by interior designers, these manufacturers will be able to respond to their needs showing their best know-how and expertise or references, for further projects. Then, a selection committee will select the most appropriated offers and will organise the schedule of meetings. All these poins form the backbone of these 15-minute pre-arranged mini meetings to discuss identified needs and new ideas to be developped. 15 minutes to get a sense of future projects, and to decide whether to meet again in more formal terms to consider a collaboration. 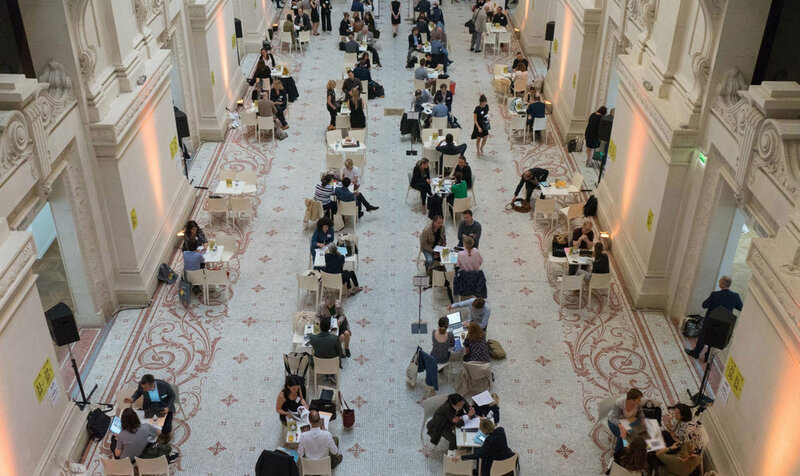 In 2019, Speed Dating Interior Design and Fine Crafts will take place at the Grand Palais, during Revelations - International Fine Craft & Creation Biennial.